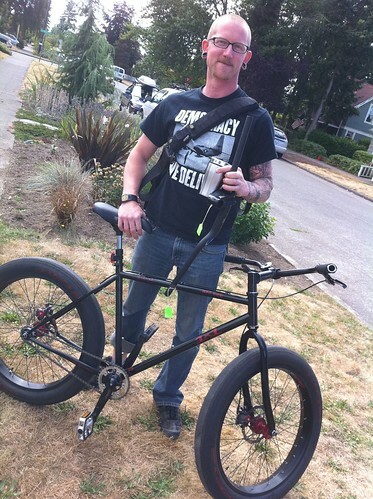 Spotted at Russie’s Bike Swap Yard Sale, this dude with a Surly 1X1 that was really fun to ride. He’s also been seen on a cruiser at the World’s Slowest Bike Race and atop a Penny Farthing. Who is he? We suspect he may have more bikes than us.